Mozilla Firefox 48.0 was released on Tuesday. The biggest change is that Electrolysis (E10S), the multiple processes architecture, is beginning to be enabled by default. Electrolysis is the project name for Mozilla’s efforts to split Firefox into multiple processes to improve responsiveness, stability, and security. The first phase of this work was to split Firefox into a UI process and a content process. Download Protection: potentially unwanted software and uncommon downloads. Searching and various security improvements, and more at release page. 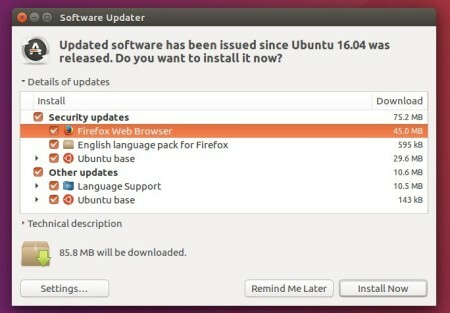 At that time, just launch Software Updater and install available updates after checking for updates. select Download from “Main Server” in first tab. 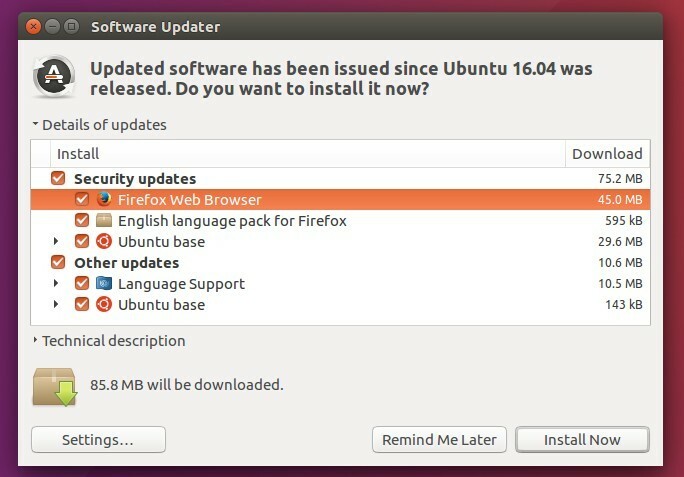 make sure the security and updates repositories enabled in Updates tab.